Are Chelsea fans finally getting what they wanted? 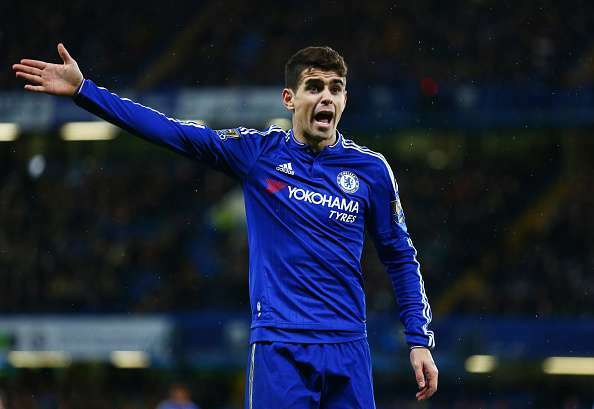 Chelsea have reportedly accepted a massive bid for Oscar! The bid is from Shanghai SIPG, a Chinese club which is managed by former Chelsea manager, Andre Villas-Boas! £52m for Oscar would be unbelievable business, would allow us to spend way more in January and we WILL win the league. Chelsea are getting £52m for Oscar, my word what a deal.. I'll pay for Oscar's flight is if he goes to China for £60m. Chelsea to get £52m for Oscar. That is mad. Arsenal fans, get the spreadsheets out. YEP!!! This Jan, Oscar will be sold. £60m in the bank. I am so happy. If Oscar is being sold for £52m, Wilshere and Ramsey are worth £104m. Each. If Oscar is worth £52m then I'm worth at least 2 or 3?! I'm just hearing of Oscar's £60m move to China. Chelsea have got SIXTY MILLION(60,000,000) POUNDS for OSCAR!! £60m for Oscar.. Take it and run Chelsea. Don't know what AVB's thinking but that's a ridiculous offer.. Not complaining though. £52m for Oscar? Probably the best thing AVB has ever done for us. Apart from manage Spurs that is.